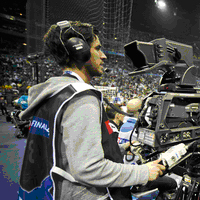 EHF Marketing GmbH has announced the signing of new TV deals in Sweden, Africa, Cyprus and Iceland. The European Handball Federation’s marketing arm, EHF Marketing GmbH, is pleased to announce the signing of several new television deals, which will bring the continent’s premier club handball competition to an ever increasing number of viewers around the world. With the competition making a welcome return on Thursday 9 February 2012, following a break for the EHF European Championship in Serbia, there is great news for handball fans in Sweden, Africa, Cyprus and Iceland, who will now be able to watch handball at its best in the VELUX EHF Champions League and EHF Women’s Champions League. As well as adding new markets, the VELUX EHF Champions League is also attracting large numbers of TV viewers in some of its key markets. In Denmark, home of the new European champions, the away match of AG Kobenhavn against Reale Ademar Leon on 19 November 2011 was watched by a peak of almost 600,000 people on DR1, a market share of over 22%. In Germany, THW Kiel’s clash against Montpellier Agglomeration HB on 9 October 2011 was followed by half a million people on Eurosport’s German window. Similarly in Croatia, on HRT2 the match between HC Croatia Osiguranje Zagreb and FC Barcelona Intersport on 22 October 2011 was watched by over 350,000, recording almost a 20% market share. Peter Vargo, Managing Director of EHF Marketing GmbH, said: "We are seeing some very positive results on the TV market. We are extremely pleased to be able to bring the very best in club handball to an ever increasing number of people around the world. Our ratings for the opening games of the season also underline the appeal of matches between some of the very best teams in Europe." A new agreement with Modern Times Group MTG AB will see both the VELUX EHF Champions League and also the EHF Women’s Champions League broadcast in Sweden on their TV10 channel and Viasat Sport. Swedish TV viewers will be able to watch two matches per round from the VELUX EHF Champions League, including the matches of the Swedish team, IK Sävehof. The channel will also show the magazine programme, "Rewind – The Handball Show", the VELUX EHF FINAL4 as well as the finals of the EHF Women’s Champions League. The deal, signed for the next three seasons (2011/12 – 2013/14), highlights the commitment from the Modern Times Group to bringing the very best club handball in the world into the living rooms of sports fans in Sweden. Modern Times Group MTG AB is a leading international entertainment broadcasting group with the largest geographical broadcast footprint in Europe. TV10 in Sweden specialises in sports and documentaries. Visit www.tv10.se. Setanta Africa has previously shown the VELUX EHF FINAL4 and will now air 11 matches from the remainder of the Group Phase through to the VELUX EHF FINAL4. The channel will show the "Match of the Week" in addition to the competition’s weekly magazine show. The channel is available in English and French on various television platforms across Sub-Saharan Africa reaching approximately two million households. Setanta Africa broadcasts over 2,000 hours a year of original product per year and repeats combined to broadcast a full-time 365 day-a-year channel offering. Over 80% of the original product schedule is shown live or on a short delay. Visit: www.setanta.com/africa. Europe’s leading men’s club handball competition is to return to television screens across Cyprus. The new agreement was brokered by the sportsman media group, the international sports media rights agency on behalf of EHF Marketing GmbH. The channel will broadcast the Group Phase and Main Round of the VELUX EHF Champions League. Coverage will include the culmination of the season, the VELUX EHF FINAL4 in Cologne, Germany on 26 and 27 May 2012. Cysports is the only 24/7 sports channel in Cyprus broadcasting 55 sports all over Cyprus through IPTV. The channel’s target and focus is to promote all sports with live and recorded games and events. Visit: www.cyprussportslive.com. Sporttv is an internet TV channel with a focus on broadcasting live sport events from Iceland and other countries. The channel showed matches from the VELUX EHF Champions League in the 2010/11 season, and this new deal will continue to the end of the current season. The channel offers the highest quality streaming to viewers as well as an on-demand service via their website. The company also offers individual corporate streaming solutions. Visit: www.sporttv.is.